If you are interested in a Liturgical Ministry, please contact our Liturgy Director, Rosi Viquez unless there is another name associated with that ministry. Altar Servers: Children and youth who assist the priest during the celebration of our liturgical services. Requirement: must have celebrated their First Eucharist. Training is provided beforehand and works with mentor. Please contact Rosi Viquez. Art & Environment: Prepares the worship space for the various liturgical seasons with the use of fabric panels, banners, plants and flowers, etc. Some volunteers design and sew fabric panels and banners as needed. Please contact Rosi Viquez. Hospitality: We all enjoy coffee and donuts, cookies and lemonade after our Masses and we are grateful for the faithful parishioners who serve us each week. We are now in need of additional volunteers to help with this important Ministry of Hospitality for all of our Masses on the weekend: 5:00 p.m., Saturday, 8:00am, 10:00am and 12:00pm on Sunday. Call the office (847) 882-7580 or contact Sister Marianne. Lectors: Women, men, and confirmed youth who make the weekly proclamation of scripture significant and beautiful. A training session is required and provided. Please contact Rosi Viquez. Liturgy Planners: Four teams who prepare weekend Masses by recommending and composing intercessions and certain prayers on a rotating basis. This is a prayerful and ongoing learning experience in liturgy and scripture. Training is provided. Please contact Rosi Viquez. Ministers of Communion: Women, men, and confirmed youth who assist with the distribution of Eucharist at Mass. It requires a commitment to ongoing prayer and renewal. Certification is required and training is provided. Please contact Rosi Viquez. Music Ministry: Cantors, Choir members and Instrumentalists that lead the assembly in song at weekend Masses and other liturgical celebrations. If you like to sing or play an instrument and are interested in joining our Music Ministry, please contact our Music Director, Linda Donaldson. If there is no contact name listed below, please call the office for more information (847) 882-7580. Religious Education Program for Children and Youth: Ongoing Catechesis and Sacramental programs. Please visit the Religious Education website for more information. Círculo de Oración: Meets weekly to promote charismatic prayer/spirituality. For more information contact: Deacon Xavier Carrera or Deacon Mario Contreras. Youth Ministry: Bilingual teens who plan and participate actively in catechetical, liturgical, and social activities of the parish (ages 13-17). For more information please contact: Rosi Viquez, 847-882-7584 Religious Ed office. Leadership and Faith Formation: Provides formation and spiritual growth opportunities for lay ministers. Quinceaños Preparation: Prepares young women for a religious celebration on their fifteenth birthday through a program of service and faith formation. For more information contact: Deacon Xavier Carrera or Deacon Mario Contreras. RCIA/RICA Team: RCIA/RICA Plans the sessions for adults preparing for Baptism, Eucharist, and Confirmation at the Easter Vigil. (September through April). For more information, please contact Sister Marianne. Women at the Well: A team of women who bring women together five times each year for spiritual nourishment and conversation. Please visit the Women at the Well page for more information. Women's Reflection Group: The Women’s Reflection Group provides women of the parish with an opportunity to study and discuss Scripture, Theology, and other topics of interest. It’s a time for women to come together for formation, prayer, and social interaction. 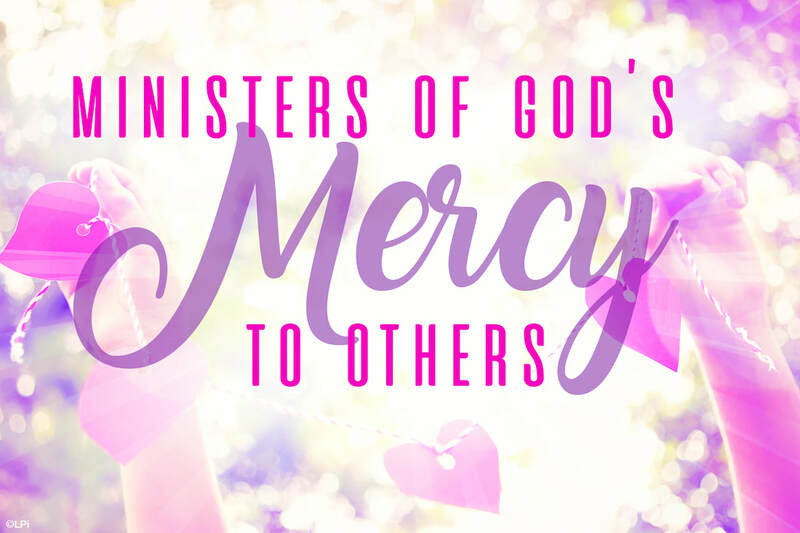 We meet twice a month on Wednesday mornings from 9:30 – 11:30 a.m. For more information contact Sister Marianne. Grupo Guadalupano: Members meet every 12th of the month to pray the rosary and honor Mary at the annual feast of Our Lady of Guadalupe, December 12th. For more information, please contact Rosi Viquez. ESL: English as a Second Language provides classes on Thursday evenings each fall and winter for immigrants seeking to learn the English language. For more information please contact Sister Marianne. Funeral Ministry: Coordinates/assists at funeral liturgies; some preside at wake services or prayers on the morning of the Funeral Mass. Training is provided. Please contact Sister Marianne for more information. Ministry of Care: Visits parishioners who are in hospitals, nursing homes, or confined to home. The Ministry of Care comes as a representative of the parish and offers his/her time and concern. If you or someone you know is in need of this support please contact Sister Marianne. Prayer Shawl Ministry: The Prayer Shawl Ministry provides a way to literally wrap people in prayer. Prayer shawls are knitted or crocheted by members of our parish and then given to those who are in need of our prayers. Just as Jesus daily wraps us in His love and peace, we as His servants can provide a shawl to someone who needs to be held and wrapped in prayer. The shawl provides a visible symbol of Christ’s presence and care, along with our prayers. If you would like to request a prayer shawl for someone contact Sister Marianne. St. Vincent de Paul Society: Coordinates distribution of food, clothing, and other items to local families in need. The pantry is open each Thursday from 2:00 until 5:00 p.m. Provides specific aid to parishioners who need temporary emergency assistance. If you or someone you know could use some help, please call at (847) 882-7580. Your request will be kept in strictest confidence. For information about food distribution, please visit the Food Pantry. Welcoming: Staffs monthly registration table for new parishioners and coordinates welcoming gatherings or other activities. Domestic Violence Outreach: Faith-based support ministry for women who seek a safe and confidential environment where they will find support and encouragement. Referral to appropriate organization is provided. For more information, please contact Rosi Viquez. Craft Bazaar: Crafters meet to make items for our Annual Craft Bazaar held in the Fall. The crafters meet on Monday mornings and the 1st and 3rd Tuesday evenings of the month in the South Room of the Kane Center. No craft experience is necessary; childcare provided. This is a fun way to meet others. We welcome new faces. For information please contact Charlene Gulik. Family Fest: Our largest parish-wide event, the Festival transforms the parish grounds into an exciting area event over five days in June with rides, bingo, and lots of food, entertainment, and people. This is a great way to meet others in the parish. We are always looking for people. If you would like to get involved please contact Maria Borla. Knights of Columbus: Our local chapter of this national organization includes men from three local parishes. For more information please contact Larry Arquilla. Las Rosas Dinner Dance & May Bash Dinner Dance: Dinner Dances for all parishioners, highlighting the foods and traditions of the parish Hispanics and Filipinos. Filipino Committee: Coordinates the Simbang Gabi parish celebration annually in preparation for Christmas. Also participates in Flowers for Mary in May and coordinates Family Fest Filipino booth in June. If you would like more information on becoming a member of this committee or would like to help at any of their events, please contact Rosi Viquez. Please contact Anna O'Donnell if you need more information or would like to get involved. Finance Council: Provides planning, consultation, and oversight for parish finances, including budgets and reports. Those with interest and/or financial background are welcome. Gardening: Volunteers who maintain the parish gardens from spring through fall. Maintenance: Energetic parishioners who share their time, talent, and treasure to improve the condition of our entire parish facility. We welcome those who are willing to utilize their skills and time for the benefit of all who come to the Church of the Holy Spirit, whether through repairing, cleaning, gardening, or painting. No matter how big or small a project, our members find a sense of satisfaction and enjoyment in working together for the honor and glory of God. If you are interested in volunteering for the Maintenance Ministry, please contact Anna O'Donnell. Technology: Coordinates the planning, development, and care of parish technological resources.